Victoria is passionate about helping children become their best. She remains busy writing, teaching full-time, and volunteering in her community. Victoria has been a teacher for twenty years. She looks forward to continuing her writing career and someday becoming a New York Times Best-Selling Author. 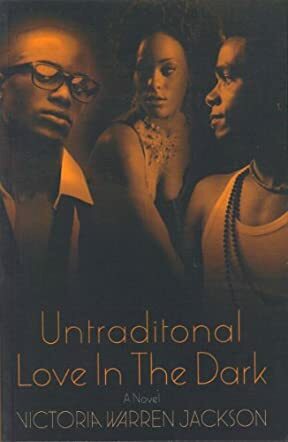 In Untraditional Love In The Dark by Victoria Warren Jackson, Samantha is a successful college graduate with a busy and prospering boutique that she owns, but her personal life has many faults. Sam has been through many unsuccessful relationships in her 30 years of life. One after another seemed to have their own way of causing her grief, embarrassment, and complete sadness. Sam has dealt with a disease-inflicting boyfriend, a 'married with kids' boyfriend, and then the winner of them all, a bisexual husband. Sam needs to learn how to love herself and not just love and want to love men. Author Victoria Warren Jackson entertains readers with her realistic, suspenseful and dramatic romance novel. The story plot created within this novel is one most readers can relate highly to, knowing someone in the same position or being in the same position themselves. For a woman though, Sam's experiences with men could possibly be the worst nightmarish thing to happen in a relationship. Victoria writes with such emotion and description that readers can feel themselves being mesmerized by the sequence of events told. The book is a nonstop read and a page-turner. Untraditional Love In The Dark is a great novel, especially for women. The author provides highly relatable characters and scenes within each chapter. It is like reading a friend's diary. The book has some R-rated content and language within, and therefore is more suited to mature readers.